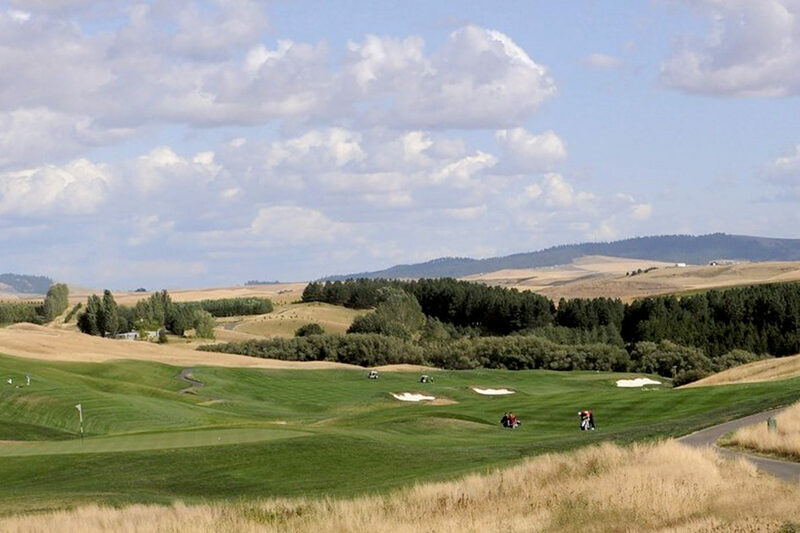 CourseCo, the golf course management company that Washington State University contracts to manage the Palouse Ridge Golf Course, will receive the 2019 President’s Award for Environmental Stewardship by the board of directors of the Golf Course Superintendents Association of America. The award will be given on Wednesday, Feb. 6, during the 2019 Golf Industry Show in San Diego that runs Feb. 2–7. Starting in Northern California, CourseCo now manages 36 golf courses that are primarily owned by municipalities or counties. A core principal of CourseCo is a commitment to environmental enhancement, reduction of resource use and sustainable management practices that benefit the communities they work in. Sustainable turfgrass management is an integral aspect of every evaluation, recommendation and management plan they implement for their clients. Construction of WSU’s Palouse Ridge Golf Club began June 9, 2006. It was designed by John Harbottle III — called “one of the best golf course designers in America,” by Golf World. Palouse Ridge’s irrigation system was specifically designed to minimize water use and emphasize the natural beauty of the Palouse. It utilizes 20‑30 computerized field monitors networked to a main computer, as well as valves under each sprinkler head and an on‑site weather station. The course superintendent can program each sprinkler head, factoring in such variables as evaporation, precipitation and microclimates, thereby avoiding overwatering. Only turf grass areas will be irrigated, leaving significant areas naturalized. Palouse Ridge opened Aug. 29, 2008. The following year, Golf Digest ranked it as No. 2 on its list of America’s Best New Courses. CourseCo has been certified by the Audubon Society for their environmental stewardship. Its facilities utilize both Integrated Pest Management plans and Chemical Application Management Plans that reduce the use of chemical pesticides.